Dealing with foreign currencies and ever-fluid exchange rates can be frustrating for consumers, and a number of start-ups in Singapore are determined to change that. 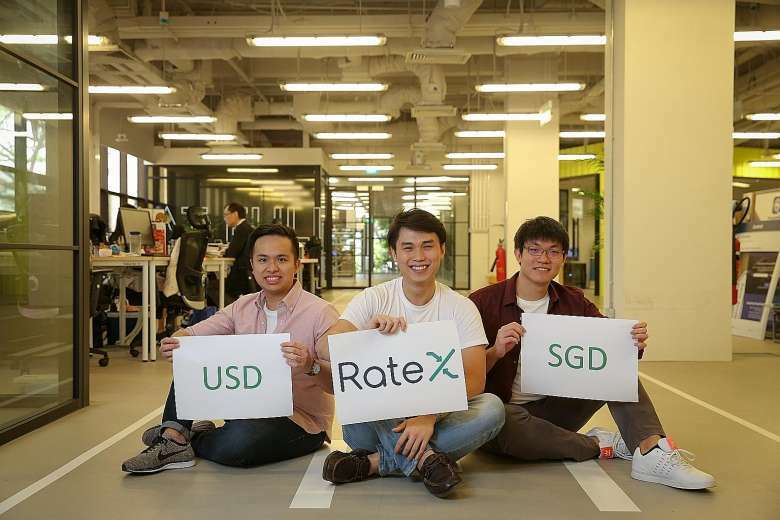 One is RateX, the brainchild of three final-year undergraduates at the National University of Singapore, which aims to “flatten” cross- border online shopping by offering real exchange rates without additional or hidden transaction fees. The online payment tool, available as an extension on the Google Chrome Web browser, matches the sum of an online overseas purchase with rates from currency exchange websites. This allows the user to pay for the purchase in his local currency. RateX does this by transacting with bulk credits from its overseas merchant partners. This means online shoppers can avoid having to pay hidden fees when making cross-border purchases, chief executive Goh Jian Kai told The Straits Times. Launched in December, the browser app now has more than 500 users and is available only on e-commerce site Amazon. RateX plans to expand its use to more US-based fashion and travel websites by the next quarter, and to China’s Taobao, said Mr Goh.